Welcome to the Recurrent Events weekly news update for retro pop culture headlines, links, videos, and more! I've still got G.I. Joe on the brain as I'm nearing the end of my G.I. Joe: A Real American Hero series rewatch. I've got a couple more articles drafted and a collaboration soon with RetroRamblings.com who reached out to me recently. We are planning to post our favorite episodes which will be really fun. I've also setup a new Twitter account to help spread the word about the G.I. Joe panoramas, stills and other Joe related stuff I'm posting to Tumblr. Follow @GIJoeIsThere for the latest images or tweet me if you have a specific episode you'd like me to inspect. 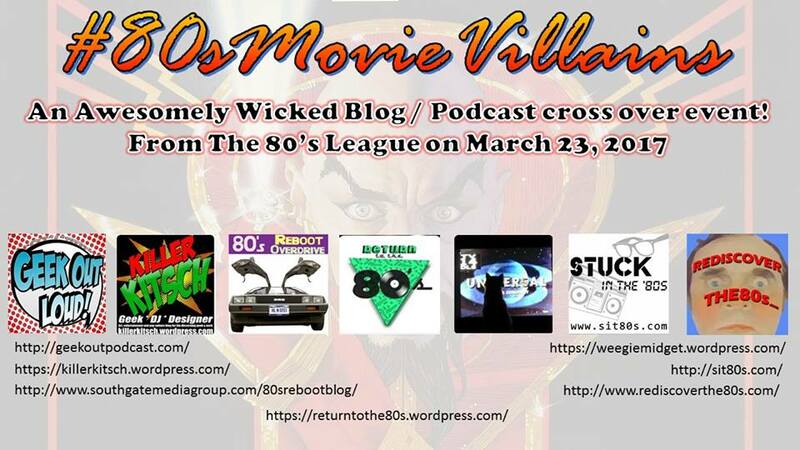 Next week marks another collaboration with The 80s League which will be all about our favorite #80sMovieVillains! Two new members join us this month, Stuck in the 80s which has already started a March Villain Madness Tournament and the Geek Out Loud Podcast. Look for an article with my favorites next week that will include links to all the other entries. Here are your Recurrent Events links for March 18, 2017!